"The Beacon" bestows a modern spin on the design of a classic New England colonial. This cottage features an open floor plan with hrdwd floors throughout the main level, private study w/ beautiful tray ceiling & large open kitchen & living space leading to private patio off the back. The 2nd floor has a large master bedroom with private bath, laundry room, 2 additional bedrooms & 2nd full bath. All models feature hrdwd flrs & 9' ceilings on 1st level along with a fabulous kitchen that comes with a highly desirable appliance package. 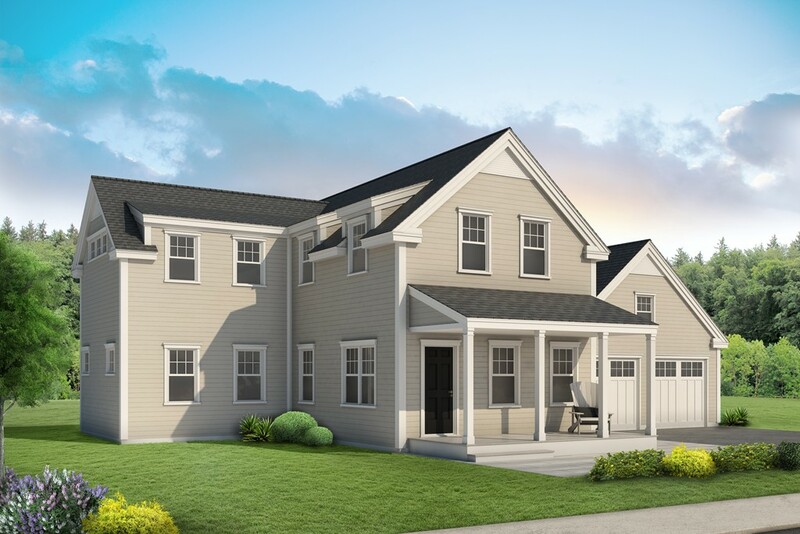 The Cottages at Port Place is Newburyport's newest 38 home community, offering quality design & construction paired with a natural setting and desirable amenities. Here you will find access to community walking trails, community pocket park with patio, outdoor fireplace, & state of the art Tot Park and inviting front porches, perfect for casual gatherings. Just steps to Moseley Woods, Maudslay State Parkand just minutes to beaches and downtown!